I’m talking about network marketers, who put a lot of effort into their home business but just don’t get the results they desire. The truth is that working hard at the how-to is not enough. 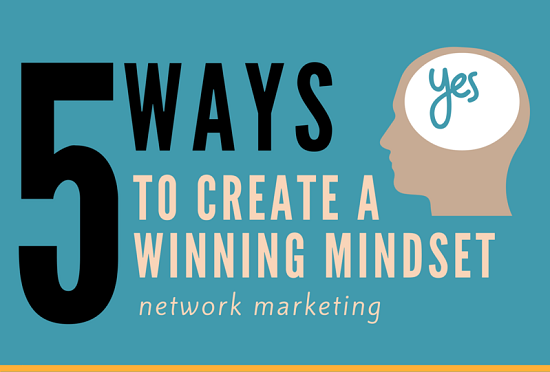 To get significant results, you need to create a winning network marketing mindset. While a lot of how-to activities are correct, if you are missing that success mindset your efforts may be ineffective. 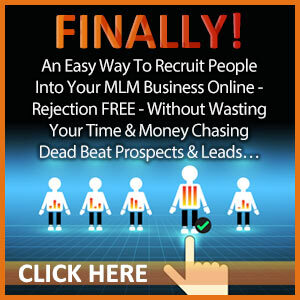 Wondering how to earn six-figures in your MLM business? Use these 17 irrefutable laws to fast track your way to success. 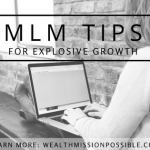 So, instead of giving you a pep talk today, I’m going to show you 5 ways to create a winning network marketing mindset. Couple that with the how-to MLM activities and there will be no stopping you. 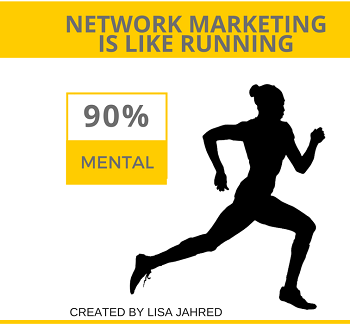 How Important is Mindset to Network Marketing Success? There are network marketing opportunities everywhere that seem very appealing. You see the great success of others and picture yourself having the same success. Even if you join a great MLM company and have the best sponsor, there is no guarantee of success. You see, it’s all about you and what’s going on in your mind. That is absolutely true. Just when you feel you can’t take another step, your mind pushes you another mile, one foot in front of the other. It’s the same when you are building a network marketing business and that’s why a success mindset is so important. Any entrepreneur will tell you it is 90 percent mental. The rest are skills you can learn over time. But it’s your mind that will push you through when you feel like you just can’t move forward. Have you ever wondered why some people in network marketing are so successful yet others are not? It has to do with attitude, self-motivation, desire and persistent discipline. Think of mindset training as another skill you need to learn and continue to cultivate. Ready to learn? Let’s dive in. Have you ever thought about how the people you hang around actually influence you? I’m not talking about when someone makes a recommendation. I used to work in a large corporation and I felt awful every day when I got home from work. I should have been happy to be home, but I was just down. I did a lot of mindset work with a life coach and discovered that the negative energy in the environment where I spent most of my day was having a terrible effect on me. This was surprising since I am a really positive person. The moral to the story is that we are affected by those that surround us, even at a subconscious level. It’s true! Think about it. Were you excited when you joined your network marketing business? How many of your friends truly shared in that excitement with you? Her book, “13 Things Mentally Strong People Don’t Do” may be very helpful to you as you develop your winning MLM mindset. When you spend time with people who don’t lift you up, you start having doubts about your dreams and how you will achieve them. You can build inner strength through mindset training. Instead, be selective about who you hang around and have as friend. Seek out people who will inspire you and appreciate your vision for you future. You’ll have a much better chance of creating a profitable business when you work at developing a network marketing mindset. You can also look for local or online mastermind groups which usually include like-minded people on a path to success. Are you surprised by this? Ask yourself if the people you surround yourself with lift you up or cause you to doubt yourself. What will you do about that? Are you done with learning or have you embraced a mindset of learning? Learning helps you develop into the person that can and will succeed in network marketing.Learning helps you to develop your mind to become that person you envision. As a network marketer, there are many new skills you’ll need to hone. You do that by having a mind that is open to learning those relevant skills. There is always a curve and you’ll start near the bottom of that curve. As you continue to grow into your new skills, you’ll be well on your way in your journey. 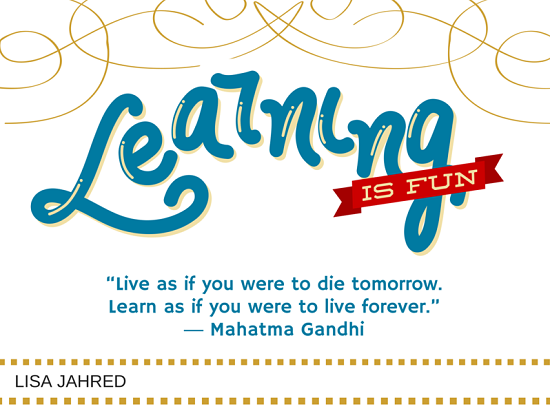 Learning helps you to become a more interesting person and a more interested person. In network marketing, you need to talk to as many people as possible, right? Learn how to be interested in other people and find out what they want in life. Understand their pain points and how you can help them. Gathering the skills to become a leader with a vision will help you create a mindset for success. Understanding how to meet people where they are is one skill that starts with your mind and attitude. When I first started in network marketing, I didn’t understand the philosophy of “meeting people where they are.” That just led to a lot of frustration and inability to really be of service to others. I got busy on mindset work to understand how to go about connecting with others in a more productive way. It’s much more rewarding and satisfying. The more you learn about yourself and others, you’ll gain a deeper appreciation for life and your surroundings. As you learn new things, your mind grows and adjusts accordingly. Sit down with yourself and write out a list of skills that you need to improve on. Be honest. Then create some goals and find the resources to help you achieve them. What new skills will you be learning this year? Learning and limited beliefs go hand-in-hand. In order to learn, getting past your limited beliefs is the first step. Are you the type of person that doesn’t do something because think you can’t? I can’t talk to people about my business. I can’t find the time. If you tell yourself you cannot do something, guess what? You’ve already failed before even starting. Which of these sounds like your mindset: Fixed mindset or growth mindset? If you say, “I am not a salesperson”, that is a limiting belief. 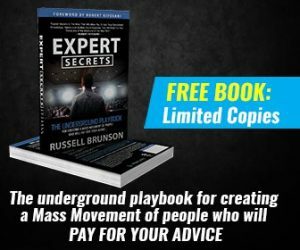 It’s a way for you to avoid doing what you need to do for success in network marketing. When you do that type of self-talk, your mindset is not in success mode! Let’s face it, in MLM we sell products to people, don’t we? So if you believe you can’t sell anything to anyone, you will surely fail. Struggling with what to say to prospects? Use these exact scripts to put you light-years ahead of your competition. Instead of holding yourself back from success, you can change your limiting beliefs and learn to develop new skills. Write down your limiting belief so you can own it. Write why it’s important to change it. Now write down an empowering version of that belief and own it. Use visualization to see your life with the new belief. Use positive affirmations to help find your inner strength. Take the first step out of your comfort zone. Work on personal development to help you strengthen your mind. Changing your limiting beliefs is a huge step in creating a success mindset for your network marketing business. 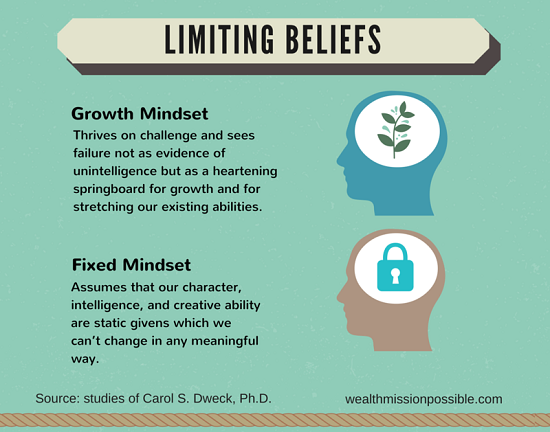 Have you identified the limiting beliefs that are holding you back in your business? What are you willing to do about it? Who is supporting you in your efforts to build a network marketing business? These are the people you should surround yourself with. They will be there to hold you accountable as well as cheer you on for achievements. When you are developing a winning mindset for network marketing, having a support system can make a significant difference to your success. Many times when starting a network marketing business, the people closest to you may not support your efforts or understand what you are trying to achieve. One of the best things about the network marketing profession is that you have a built-in team of people who are willing to support you. They may be your sponsors or others on a larger team that can surround you with positivity. You can also find a mentor or success partner to help support you. For example, a couple of years ago I was lacking a support system. I sought out an online group of like-minded people who were all headed in the same direction: UP. Out of that group, I found an individual with some similar goals in common. We became success partners in our network marketing journey. It was a joy to have someone to share my successes and failures with, as well as another person to hold me accountable. You can reach out to your sponsors and team members, find like-minded groups on Facebook, get involved in local or online mastermind group or look for an accountability partner. Grab your copy of the all new ntwrkr magazine. 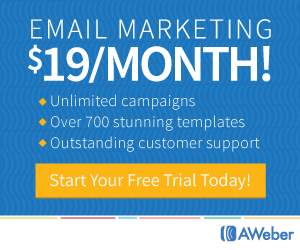 For network marketers, by network marketers! Establishing a support system will help you with creating a success mindset in your network marketing business. Do you have a support system to help you succeed in your network marketing business? What steps will you take to make that happen? Instead of looking at what that successful person has, examine their daily habits. For example, let’s say you needed to lose 40 pounds. Every time you see a fit, average weight person, you get a little jealous over the way they look. Instead of thinking about how good that person looks, think about what their daily habits are and how you can acquire those same habits. In this case, maybe the habits are eating healthy in small portions and exercise every day. You can apply the same philosophy to your network marketing habits. 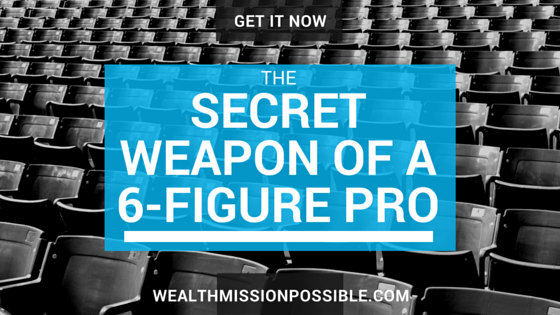 What is that top earner doing on a daily basis? Find out! Then start incorporating those same habits into your daily life. 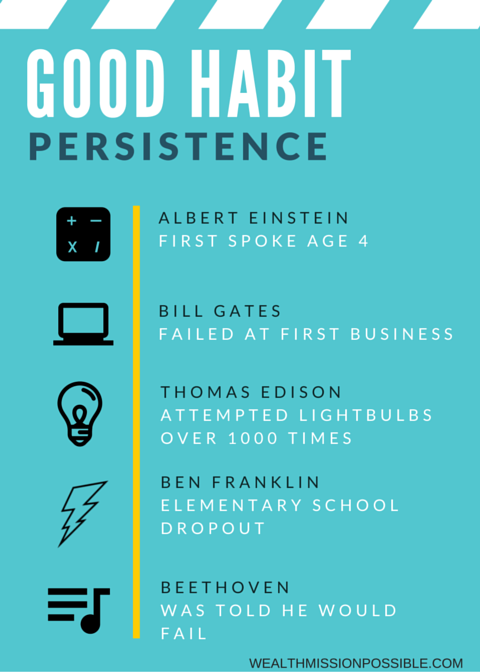 One of the key habits to develop to be a successful network marketer is persistence. Some of the most famous and successful people in the world all had that quality even in the face of failure. Evaluate your own daily habits. Will your current habits get you to your goal? If not, you need to transition away from those habits and start developing some new ones. Write down new habits that you can work on developing over time. Most of all, get in the habit of winning! Ever feel like firing your boss? Learn how from someone who did. What new habits have you identified that will help you achieve a winning mindset for network marketing? Creating a winning mindset in network marketing is a must if you want to succeed. 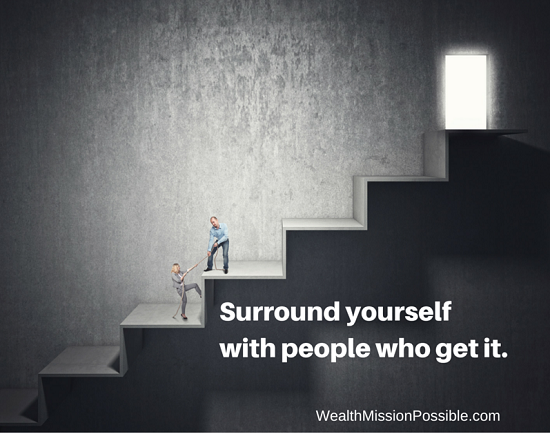 Having people in your life that can support the mindset you want to develop for network marketing will help you stay positive and keep moving forward. 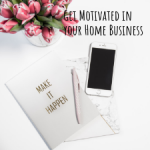 I’ve given you five ways to a success mindset in your home business. Which of these resonates with you? Which ones will you start working on to achieve your MLM goals? Leave a comment below.